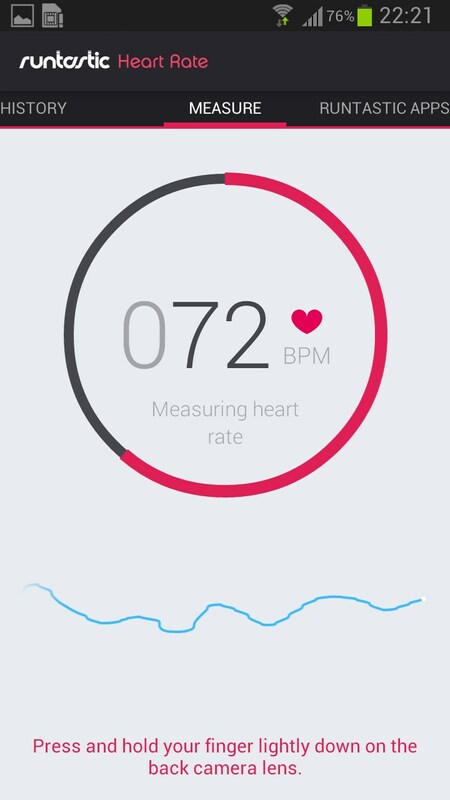 Runtastic Heart Rate – Soft for Android 2018 – Free download. 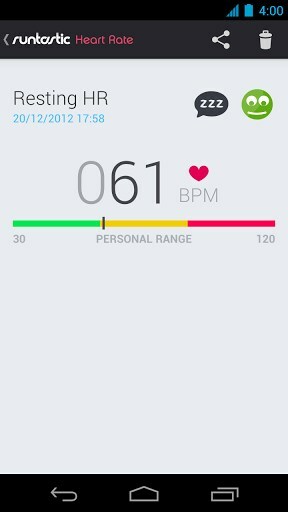 Runtastic Heart Rate – Measures and records your heart rate. 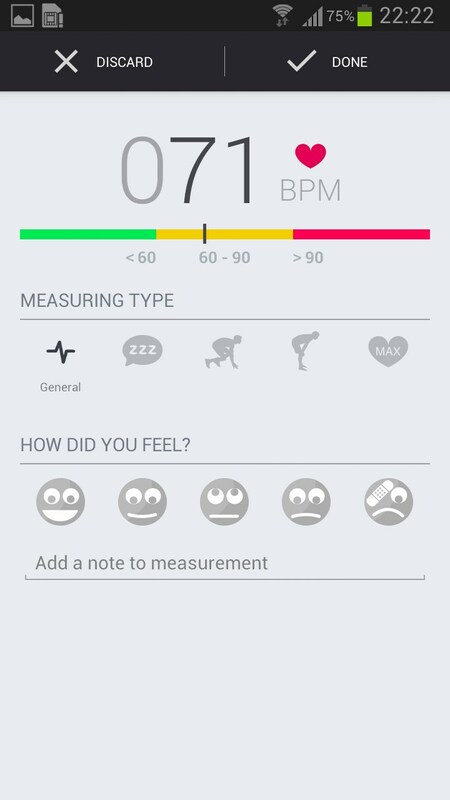 Runtastic Heart Rate - is a simple and useful application for Android, which allows you to accurately measure heart rate and record their performance. The work program is carried out using a smartphone camera and flash. The development program has been known service Runtastic, which brings together under its own brand range of sports applications (for running, push-ups, presses, pull-ups, and so on). 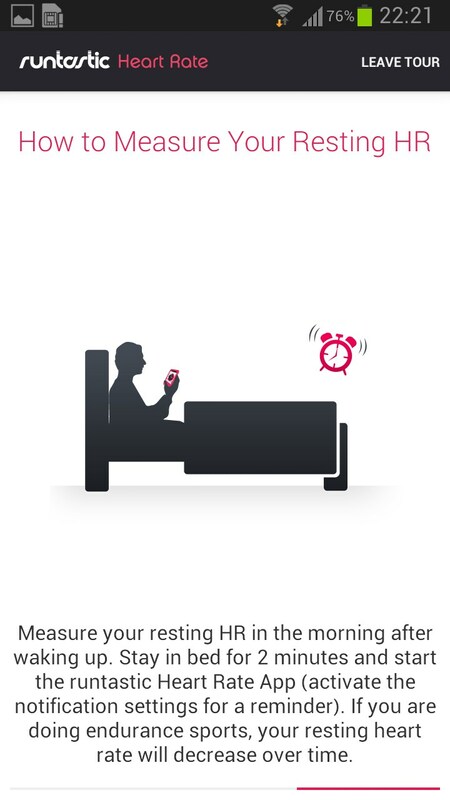 The program has a minimalist interface that is easy to understand. On top there is a panel to switch between tabs, and is located in the center of all the necessary information. When you first start Runtastic Heart Rate will offer us to register or log in using one of your accounts of social networks. If you do not want to do that, then at the very bottom is barely noticeable word "register later", which will allow you to skip this process. 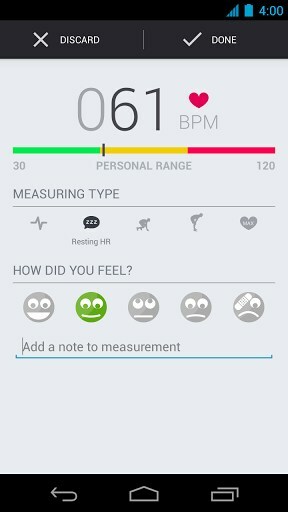 In order to measure heart rate, you need to put one finger to the camera so that it also covered the flash. It is best suited for this role, the index finger. Once you have put your finger to the camera, press the center of the screen, and then start the measurement. 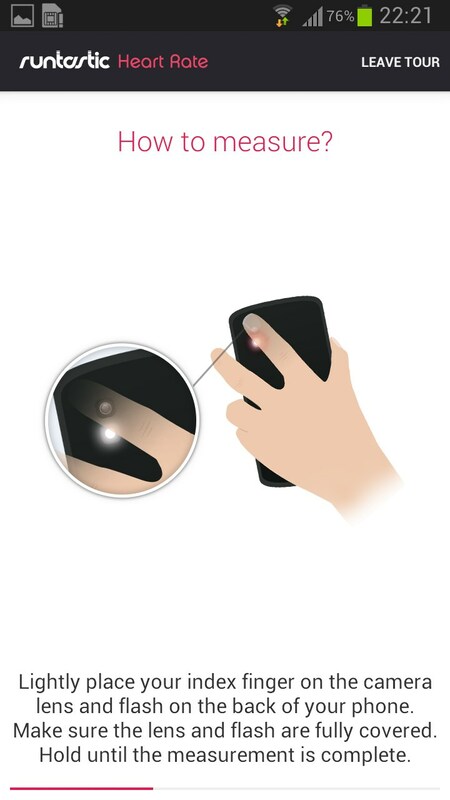 At the time of withdrawal indicators lights flash, and the camera will capture the fluctuations of blood in your finger. 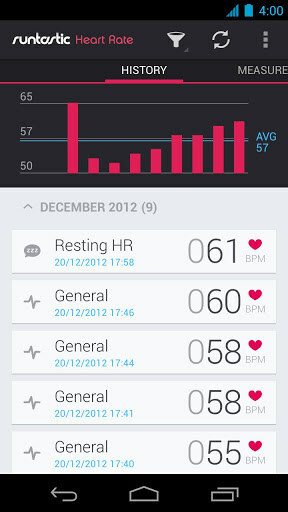 Work on the same principle and professional medical sensors, which are usually worn on the finger. 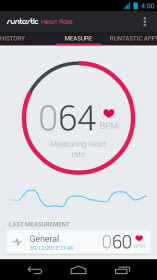 In the center of the screen will be filled with a red circle and show the current pulse. Just below you can clearly see the variations. Usually accurate measurements are displayed to the point where the red circle is almost filled, so the program has gathered enough statistics. 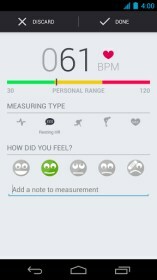 A positive feature of this program is that if the measurement may be in error, then it is sure to make you re-measure rhythm. Total testing program is never allowed to record an unlikely outcome. Integration with service Runtastic (useful if you use their other programs). Summary. 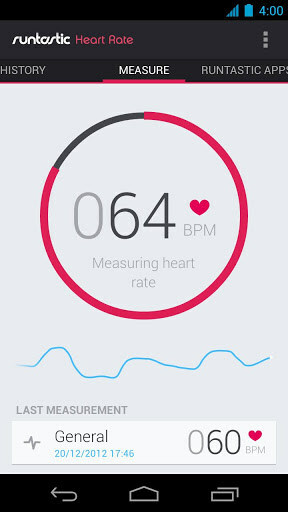 Runtastic Heart Rate - this is an excellent program and working for Android, which will help you to quickly and easily check your pulse and record the results. The program is distributed as ad-free, and charge no ads, for just $ 1. I'll let you know if I ever get it!!!!!!! I purchased the Pro Version, payment made and receipt sent, the app was to be downloaded to my phone "shortly: that was 15 min ago--where is it????? I did the same for the free version, nothing---is this a scam?